Tags: hannami, pantofi cu toc gros de vara, pantofi de vara negru galben, thick heel shoes. 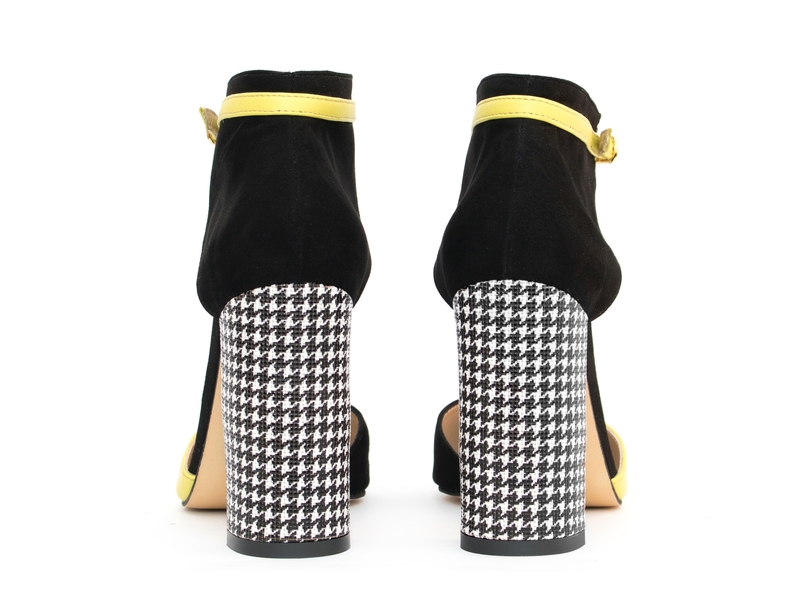 Black and yellow thick heel shoes, with 10 cm heels and thunit soles. Pantof combinație negru și galben, cu toc gros de 10 cm și talpă din tunit.